Wolf Rivers, 1959 Fine-Art Print by Andrew Wyeth at ChefDecor.com. 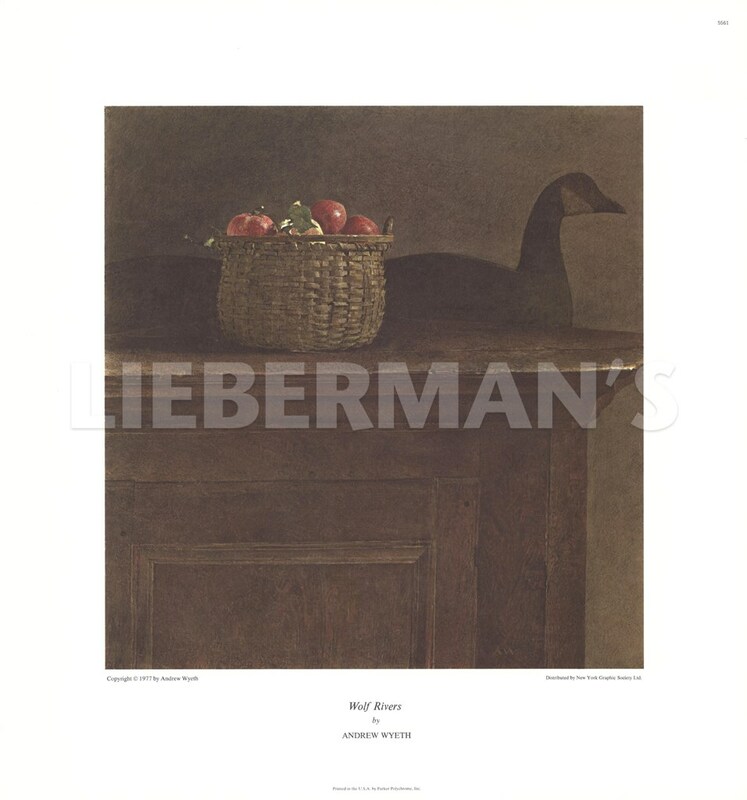 Sitting down one October day to begin a letter to his son Nicholas, away at school, the artist looked up and saw this basket full of apples catching the fall light. He made a quick drawing of it in watercolor on the letterhead and began: "Dear Nicholas." That is as far as he got. He went to the studio, found a small panel and immediately began this tempera. Paper Size: 18" x 19"